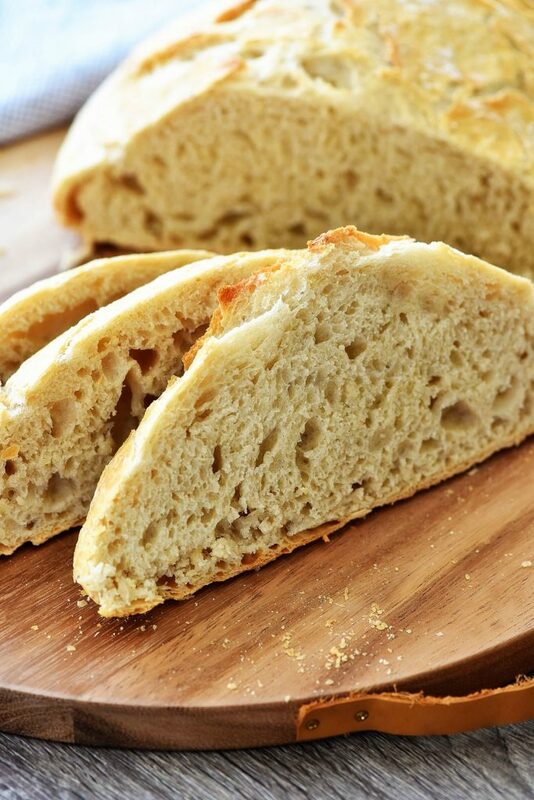 This Easy Artisan Bread is a must-make! The outside is crusty and the inside is soft and delicious. 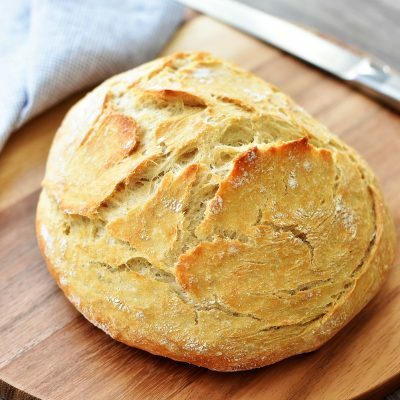 You won’t believe how simple it is to make this wonderful bread! I love baking bread. It has become one of my favorite things to make in my kitchen. I haven’t always felt this way, though. When I first ever used yeast it was SO intimidating. But over the years and all the practice I’ve had I just adore baking bread and am always looking for recipes to try. 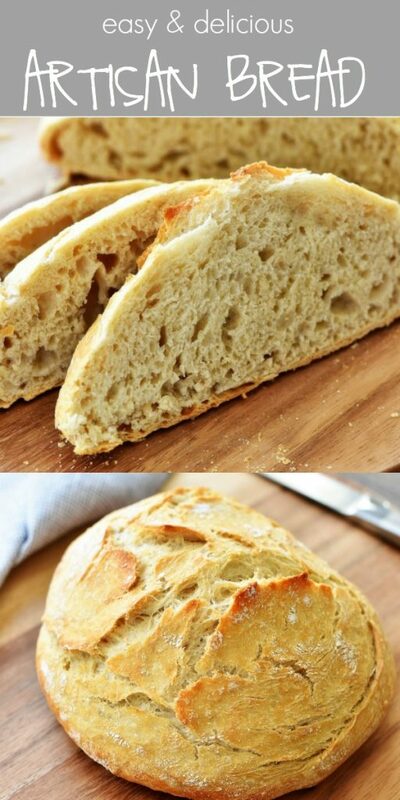 This Easy Artisan Bread is just amazing and is probably one of my favorite breads to bake. I’ll make it to serve with spaghetti, or it makes the best panini sandwich bread! The outside is crusty but the inside is so soft and delicious. Whenever I make this my family eats the entire thing in one sitting. It’s my kids’ favorite bread too. 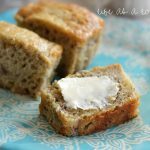 There is a special ingredient inside this bread that I believe gives it it’s amazing flavor. And that is beer. Yep, you read that right. Now this bread DOES NOT taste like beer. I hate the taste of beer so I would not love a bread that tasted like it. I don’t know what it is though, but I know that is the winning ingredient here. You can use any type of beer you like, and those of you that are opposed to alcohol go ahead and use non-alcoholic beer like O’Douls. In a medium bowl whisk together flour, yeast and salt. Add water and beer and stir together with a wooden spoon. Cover with plastic wrap that's been sprayed with cooking spray and then cover again with a dish towel. Let dough sit at room temperature for at least 8 hours. If you want a denser bread you can let it rise up to 18 hours. Flour a clean countertop with 2 Tablespoons flour and pour dough out onto it. Fold the dough over a couple of times. Sprinkle the top with 1 Tablespoon flour. Tear off a 2 foot sheet of plastic wrap. Spray the entire thing with cooking spray. Place dough onto the center of greased plastic wrap and then fold plastic wrap to cover dough entirely. Let sit again for 30 minutes to rise. Meanwhile, place a dutch oven with the lid on (I use my Le Creuset dutch oven) in the oven. Turn the oven on to 450 degrees F. Let the oven heat with the dutch oven inside for 30 minutes. Gently lift the bread over to the oven and drop it from the plastic and into the hot pot. Please be careful and use oven mitts so you don't burn yourself! Cover with lid and let bake for 35 to 40 minutes. If using oiled baking sheets, drop dough from the plastic and onto the baking sheet. Bake for 20 to 25 minutes. 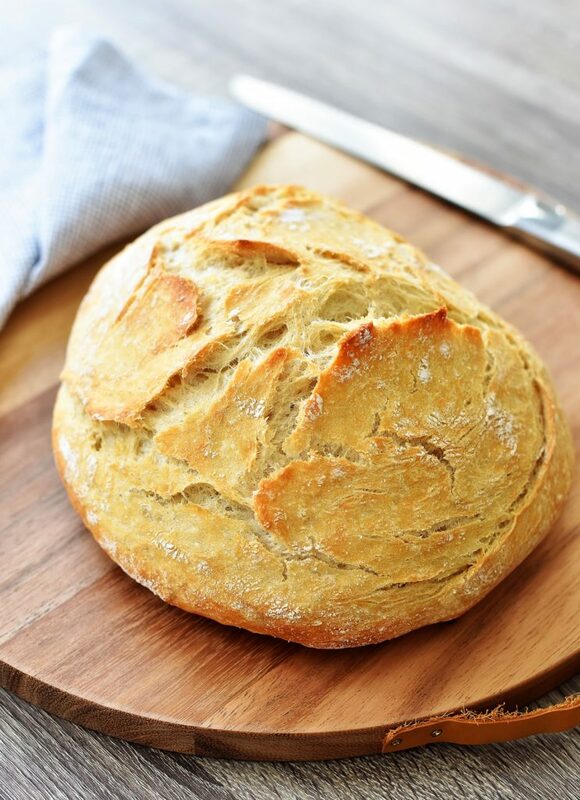 Serve bread warm and enjoy!